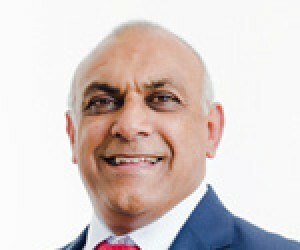 As a child during the Apartheid era of South Africa, Khalid Abdulla, CEO of African Equity Empowerment Investments Limited (AEEI), had a challenging, but happy youth. Growing up in Harfield Village, Cape Town, he learned valuable business lessons, even at a very early age. His father ran a corner café as well as a movie house at their home, to keep the youngsters off the streets. Abdulla and his brother were assisting their father with the running of these operations. Despite the early responsibility that fell upon Abdulla’s shoulders, he stresses that they had a very family- and community-centric upbringing and testament to that are his early sporting achievements. Abdulla achieved provincial colours in numerous sports, but it was soccer and volleyball in which he received his national colours at school. Sport might be very different to business in essence, but Abdulla is keen to point out how much he learnt from these sports and the relevance some of it has to everyday business. “It taught me how to put on a different hat at different times, how to develop strategy and how to plan for different situations. Opportunities arose for Abdulla in sport internationally, but due to the Apartheid era, these doors were quickly shut. He continued playing at a high level locally, but there was not much money in sport during those days so he started working and studying part-time completing his B Compt (Hons) and CTA through UNISA and a Masters in Business Administration, an MBA and Project Management from UCT. “I did my accounting articles during the week and I worked at the hardware store on the weekends for several years,” Abdulla recounts. He started his working life in auditing before moving into business consultancy where he spent his time turning businesses around. He joined AEEI, a JSE-listed, diversified black economic empowerment investment Group back in 1999 and has served as the CEO of various subsidiaries all the while understanding the various businesses. The Group covers numerous sectors of the South African economy including Fishing and Brands, Technology, Health and Beauty, Events and Tourism and a Research and Development division. The Group also has strategic investments in Sygnia, Saab Grintek Defence, Pioneer Foods and British Telecoms SA. “Running a successful business means that you have to be one step ahead of everyone. You’ll be up against a lot of people and it is not easy. Running a successful business also means making mistakes, but learning from them. Key to the game of success versus defeat is education, gaining experience and how to execute for success,” says Abdulla. AEEI as a Group focuses on growing its own operating companies, preferring to get stuck in, control and run their businesses themselves rather than merely taking an equity stake in a business and sitting back to see how it performs. Abdulla is responsible for initiating and facilitating turn-around strategies in a few of the Group’s businesses and played an instrumental role in the Group’s growth and designing the Group’s Vision 2020 Vision strategy. Over the past 7 years, AEEI has grown by leaps and bounds, with shareholder value as well as the share price increasing steadily. Furthermore, Abdulla notes that AEEI specifically identifies industry sectors in which there is a lot of potential for growth. 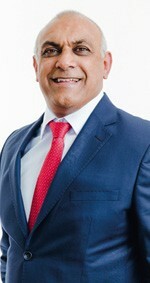 Of the opportunities currently on the table, Abdulla explains: “Food security is definitely where the future is going - we have seen this through the recent successful listing of Premier Fishing and Brands Limited on the Johannesburg Stock Exchange (JSE) and the growth and interest in the business since. The IT sector is also growing in demand and opportunity around the world and some of the biggest investors in the world are spending on technology.”The technology sector underpins every aspect of modern life and our ICT division is well placed to take advantage of the abundant opportunities this represents. Africa is a hotbed of innovation right now and we look forward to discovering and realising its full potential.”says Abdulla. At present, the Group is feverishly preparing to list its Technology Company in the short term. Abdulla is also a key player in the Group’s Events and Tourism division, with a Tripos Travel focusing on inbound and outbound travel. Magic 828 am, the Group’s radio station, has recently announced a huge increase in listenership, which is testament to the determination of the various teams to grow the radio station. espAfrika, a division of AEEI hosts the annual Cape Town International Jazz Festival and the event has grown in leaps and bounds since Abdulla took over as acting CEO. In addition to this, espAfrika is now hosting many more events than ever before, with the latest owned event which takes place at Sun City, known as the Royal Escape Experience. In the Health and Beauty division, AEEI manages Orleans Cosmetics, the sole distributor of high end cosmetic brands to the Southern African region. AfriNat supplies hygiene and sanitation products to the agriculture, food, hygiene and sanitation sectors. Since its inception, AEEI firmly believes that it is not all about profit-making but about investing in people and changing their lives – for the better. For this reason, the Group has many CSI initiatives covering everything from sports development and education, to arts and culture and enterprise development. Perhaps more importantly, however, AEEI does not only create job opportunities within the communities in which it operates, they also give back to those communities by sponsoring various development workshops and programmes. Amongst others, corporate golf days are another way in which the Group raises funds, some of which is put toward the improvement of public hospitals. Over the last year, they have raised over R 1 million for this cause, improving patient care. “This is not done for the purpose of our BEE certificate—it is part of our ethos. We come from the communities, we must never forget our roots,” explains Abdulla. Having now been with AEEI for almost 20 years, Abdulla has never lost motivation for the job he does. Whether it be starting something fresh or turning an existing business around or growing a business to the next level. Patience and believing in your decisions while trusting people to do what they need to do, when the time is right, are key elements to running a successful business, he believes, through its growth phases. Testament to his success are the raft of awards that span his career, and especially those in the past eight-months, notching up the honour of the Global Leadership Excellence Award presented at the World Leadership Congress and Awards which took place in Mauritius. In addition to this, he was honoured with the CEO Africa Award for South Africa, by the CEO Today Africa Awards, which recognises and celebrates outstanding leadership, superb strategic thinking and entrepreneurial spirit. Abdulla was also recognised and awarded the SA Business Leader of the Year 2017 – Southern Africa, at the All African Business Leaders Awards (AABLA) in partnership with CNBC Africa. Abdulla was honoured as the first winner of the inaugural South African Vision 2030 Future Maker: Driver for Change 2017 award, as well as by the Oliver Empowerment Awards as SA’s most Empowered Business leader of the year 2017. He was ranked as one of the best CEO’s in the country in 2016 and in 2015; Abdulla was amongst the 10 best executives of 2015 by Financial Mail. When asked what this recognition means Abdulla says, “I am of course, proud of these awards, but the important thing is to ensure my team is happy and the company is growing. It is wonderful being recognised by your peers and the market, but life goes on, we are just setting the bar higher for next year. These awards are not about me, they are an acknowledgement for the broader group and the people around me,” he concludes.